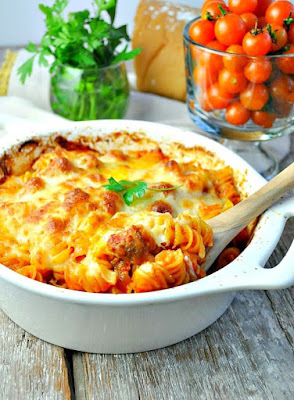 You don’t even have to boil the pasta for this easy Dump and Bake Meatball Casserole! With only 5 simple ingredients, family-friendly weeknight dinners don’t get much better than this! In a large baking dish (about 9 x 13), stir together uncooked pasta, marinara sauce, water, and meatballs. Cover tightly with aluminum foil and bake for 35 minutes. Sprinkle mozzarella over the top and bake uncovered for 5-10 more minutes (or until cheese is melted and pasta is tender). 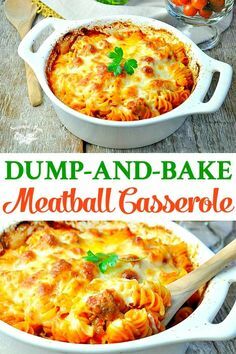 0 Response to "DUMP AND BAKE MEATBALL CASSEROLE"